2018 was probably my best reading year ever (both in quantity and quality). A big part of it was that I joined a few different book clubs . I found they were a great way to schedule semi-regular hangouts with friends I enjoyed spending time with and also helped me get through some books I might not have finished were I reading alone. If you’re interested in starting one, having a theme seems to help for inviting people, so I would suggest picking some topic you are interested in. In 2018, mine were philosophy, finance, and blockchain. Over the past few years, Hume seemed to keep popping up on my radar so I decided it was finally sit down to read him. In many ways, Hume’s observations seem incredibly modern. 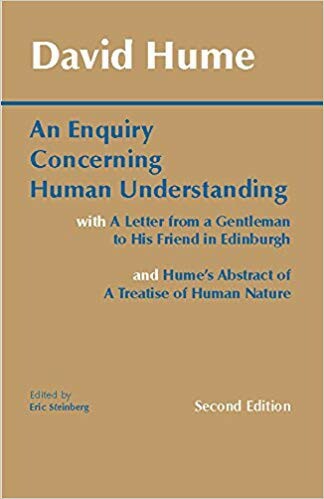 The pushback against man as a fully rational animal — that has come into the mainstream dialogues as a result of recent behavioral psychology research — was Hume’s main point. He asks what grounds we have for believing that multiple repetitions of an experiment lead us to believe it is a certainty. You may observe that every time you touch a stove, you get burned. What logical reasoning do we then have to assume that touching another stove will result in getting burned again? Hume’s answer is that there is no logical reasoning. We do assume after touching a few stoves that touching the next will hurt us, but Hume points out this has nothing to do with logic. Just like dogs or cows, we evolved in such a way that we can’t help but project past patterns into the future. Humes main virtue seems to be his ability to deal with ambiguity and greyness without falling back into a black or white understanding of the world. According to Hume’s observation, we are both selfish and humane. This book is about, well, everything. Math, formal logic, music, art, consciousness, emergence, complexity, evolution, artificial intelligence, computer science, and language are all explored (in detail). 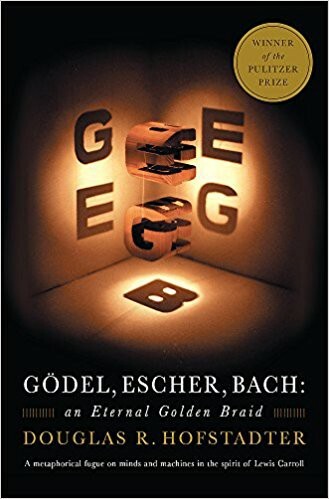 At the core, the book is about Godel’s Incompleteness Theorem which says any formal system that is interesting enough to formulate its own consistency can prove its own consistency if and only if it is inconsistent. This makes about as much intuitive sense as saying you can eat your own head, but, it’s, well, math. There’s a lot of counterintuitive ideas in this book and Hofstader talks through with fun thought experiments and his childlike sense of wonder at how amazing the world is bleeds through. Carse insists that there is a persistent illusion in our society that boundaries and rules exist outside of ourselves, but they do not. All rules, Carse shows, are self-imposed, even if they seem absolutely universal. Seen in another way, every boundary is an ever-expanding horizon. I first read Nietzsche’s On the Genealogy of Morality about a year after I graduated from college and blew my mind. It reinterprets Judeo-Christian morality and contrasts it with traditional greek morality which Nietzsche saw as superior. I have thought a fair amount about Nietsche’s interpretation and what aspects, if any, I agree with. 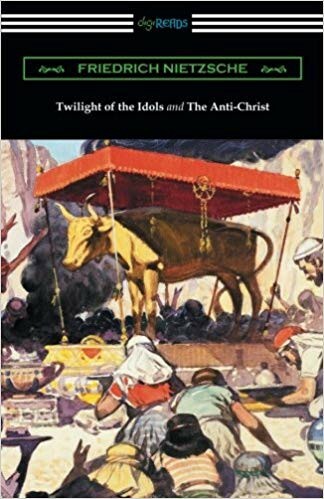 I picked up Twilight of the Idols and the Anti-Christ as a follow up to better understand his thinking. He covered a lot of the same ground in Twilight as he did in the Genealogy (though I think he did a better job in Genealogy so I would still recommend starting there). The Anti-Christ was basically a history of the early Christian church in which Nietzsche criticizes early leaders of the church (Paul in particular). The book is more accurately called “Anti-Christian” as he is mostly agnostic if not complementary to the figure of Christ himself but critical of how his message was used following his death. Nietzsche’s ideas are thought-provoking and have had a large influence on society over the last century and understanding this has helped me make sense of a lot of political and philosophical dialogue. EPIC. I am a total sucker for a good biography and this one was done masterfully. It is (deservingly) tossed around as one of the greatest biographies ever written (though this is just the first volume, there are two more). 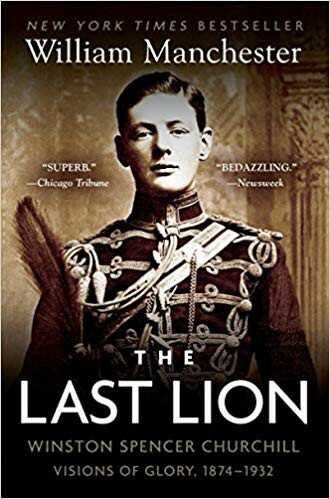 More than other “Great Man” biographies which can make it look like a single individual is driving history, The Last Lion shows Churchill as a product of his environment as much as a shaper of it. It also walks a nuanced line showing Churchill’s positive qualities: extraordinary creativity, a master of the English language, and extreme devotion to principle alongside his negative ones: a Victorian reverence for the British Empire and it’s colonial empire (and the racism and sexism inherent in that view), a proclivity for war, and a power-seeking nature. I spent a lot of the book thinking about the idea of wartime vs. peacetime leaders. Both in government and private companies, some leaders seem more competent to lead and peacetime and others in war. Churchill seems the pre-eminent wartime leader. His ideological commitment and unwillingness to compromise seem cruel during peacetime on issues like Indian and Irish self-rule but were probably also indispensable to his prosecution of the first and second World Wars. I read this book two years ago during the 2016 election. At the time, it was getting coverage in the Twitterverse for being both a good explanation for the resurgence of nationalist and populist ideologies, as well as the book that predicted Bitcoin (in 1997!). I re-read it more thoroughly and got a lot more out of it having thought more about bitcoin and cryptocurrency more broadly in the intervening two years. 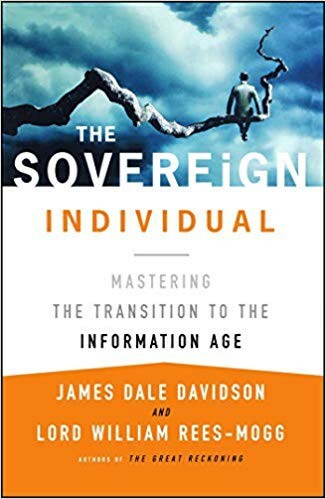 The authors look at the logic of the information age and forecast how we will see society change over the coming decades. To hard sell it: It’s a dense read and can come off as (read: is) a paean to libertarianism if that’s not your thing. Regardless, the authors got a lot right in terms of understanding the logic of the technology and it’s hard to think of a book that has more shaped my thinking about where the world is heading over the coming decades. Selling a business is one of the biggest decisions an entrepreneur can make in their life, yet there is precious little guidance on why (or why not) to do it. 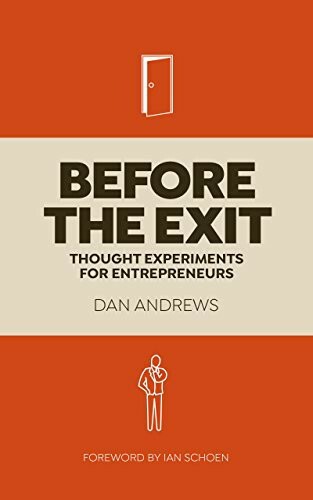 This is a quick read with some helpful thought experiments for anyone thinking of selling their business. One of the interesting side effects of the rise of Bitcoin is that suddenly a lot of people are interested in Austrian economics. In The Bitcoin Standard, Ammous offers a take on why Bitcoin is the best version of what Austrian economists call “sound money” and why he believes that makes it the only cryptocurrency worth paying attention to. A lot of the argument hinges on the notion of time preference — that a sound money which can’t be inflated away incentives people to think longer term, a shift that would certainly be welcome. I found the core argument here really interesting and compelling. I think understanding the Austrian view of money and Bitcoin is helpful (if not essential) for anyone in the crypto space. Kegan spent his career at Harvard studying psychological development. The Evolving Self outlines his model for human psychological development. I found the model insightful and the writing tight which is an unusual combination (you usually get one of the two, at best). 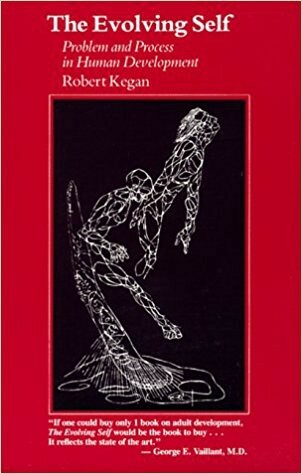 The book focuses on the process of meaning-making, a lifelong activity that begins in infancy and continues through adulthood, a contrast to Freudian understandings of psychology which tend to be more static and focus on childhood experiences while downplaying the ability for people to continue to evolve through life. I’ve found Kegan’s five-stage framework helpful for better understanding my own choices and the choices around me and understanding how to discuss those choices through a lens that makes sense to them. 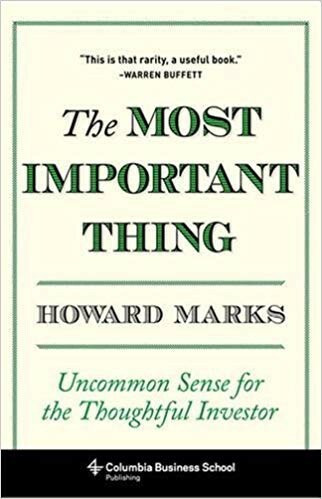 A large percentage of the best investors I know personally have cited Howard Marks as one of the greatest living investors. With an astounding track record of ~20% per annum returns for 25+ years, he certainly has the right to make the claim. He became well known publicly for his semi-annual memos (which are worth subscribing to) when he called the dot-com bubble in the late 90’s. Marks is a value investor in the vein of Warren Buffett and Seth Klarman, a style I find intrinsically logical and appealing. The Most Important Thing is an annotated collection of his memos sorted by theme including understanding risk, the relationship between value and price, and market cycles. If you read my notes, you’ll notice I highlighted about half the book which should say enough about what I thought of it. Alone is the second volume of Manchester’s three-volume biography of Churchill covering the buildup to the Second World War and Churchill’s period of political exile. For most of the book, Churchill is a political pariah. His warnings about the impending Nazi threat lead to him being cast as a warmonger who wants to drag the world back into conflict. Tragically, his pleas for England to stop Hitler’s rise go unheeded until it is almost too late. More than any book I’ve ever read, you really see history’s sensitive dependence to initial conditions (AKA the butterfly effect). There were a staggering number of opportunities for war to be avoided, all foregone in the name of preserving peace. The German high command was ready to turn on Hitler as soon as Allied forces invaded all the way up through 1939, but Allied appeasers never acted. 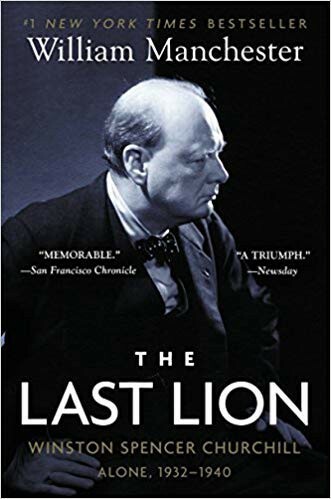 The book opens with an astoundingly vivid account of Churchill’s home life and reveals a complex figure, at times callous and reckless bordering on hubris, but incredibly creative and, in the end, courageous. The title pretty much says it all. Weatherford, a cultural anthropologist, traces the role of money in shaping human affairs beginning with the invention of coins in Lydia 300 years ago, running through Greece, Ancient, and Renaissance Italy all the way to present day. The explanation of coinage and the impact it had in ancient Lydia is worth the price of admission alone. 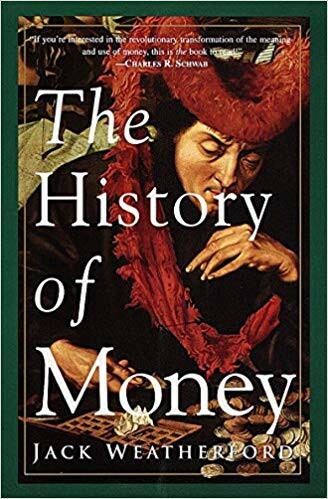 The book ends by predicting we are moving into an era of “cybermoney.” Like many others that have fallen down the bitcoin/crypto rabbit hole, I realized I didn’t actually know what money was or how it worked and I thought this was a nice scaffolding to start to think from. My thinking has been influenced a lot by the work of Nassim Taleb. 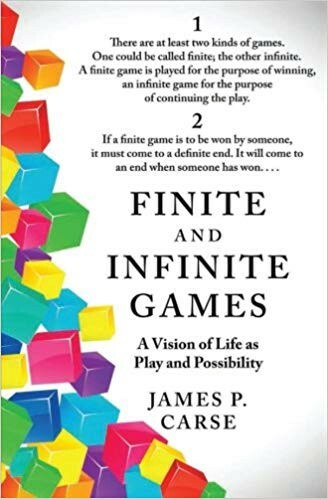 Best known for his book The Black Swan (though my personal favorite is Antifragile), Taleb studies seemingly esoteric, but actually imminently practical, concepts like volatility, risk, asymmetry, and probability. A friend described himself as a “reluctant fan” of Taleb. Taleb is right and articulate about many of the big, important issues but doesn’t exactly have the friendliest Twitter persona to go along with it. 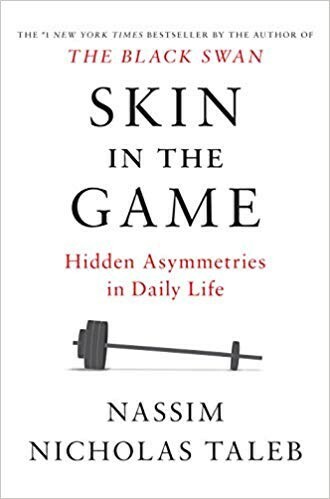 His latest book, Skin in the Game, came out in 2018 and I put off reading it because I figured I already “got it.” A handful of friends bugged me to pick it up and I ended up thoroughly enjoying it. It is Taleb’s most accessible and practical book, distilling much of his more philosophical work down in an elegant and entertaining way. Even having read all his other books multiple times, I still found myself highlighting huge swaths of the book. If you haven’t read any of Taleb’s books, this is where I would start. By Arvind Narayanan et al. This is the best academic textbook on cryptocurrency that I’ve found so far. It’s a companion to the authors’ free coursera course and I thought both were excellent. One of my major regrets from college was that I didn’t take more math and physics courses. The departments for both at my school were fairly challenging and I wasn’t particularly good at them and so I shied away for fear they would hurt my GPA. As it turns out, no one has ever asked to see my GPA and I would have been better off taking the classes, getting Cs and learning a lot. Hindsight is 20/20 I suppose. Anywho, I have made it a goal to go back and study more math and physics on my own time and Six Easy Pieces was the consensus recommendation for where to start. 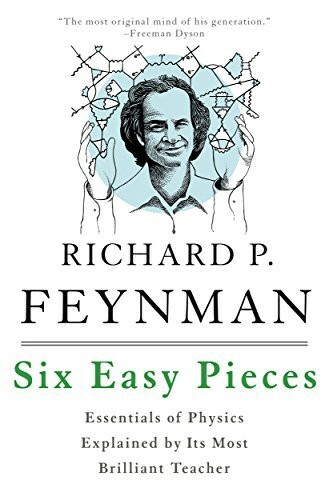 Coming in at a slim 150 pages, Six Easy Pieces is a Physics 101 class in a breezy book. Feynman is an astoundingly good teacher, with a real facility for metaphors and analogies that make the subject matter easy to grasp. The True Believer is a landmark in the field of social psychology, and even more relevant today than when it was published in 1951. The book was a favorite of U.S. President Dwight Eisenhower and his most frequently gifted book. Hoffer examines the mind of the fanatic and the social dynamics of a mass movement. The book applies to much of what is happening now from American and European politics, to ISIS, to Bitcoin. 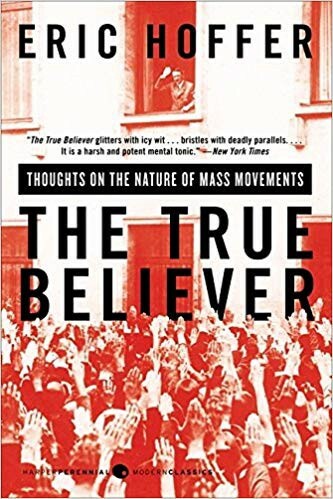 Central to Hoffer’s notion of a “true believer” is the idea that those who see themselves as weak, frustrated, and disillusioned crave the sense of belongingness and strength that being part of a mass movement. What is less important than all this is the mass movement itself. In Hoffer’s view, 1930s Germany was ripe for a mass movement but it could have just as easily been one lead by communists or religious revivalists as fascists. I watched the PBS interview series (on Netflix still) this book was based and it was so good I read the book too. Campbell spent his life studying mythology and his work became famous after his more academic work, The Hero with A Thousand Faces, received credit as the inspiration for George Lucas’s Star Wars trilogy. Campbell believed the themes and symbols of ancient narratives were not scientific truths, but metaphorical truths that bring meaning to birth, death, love, and war. 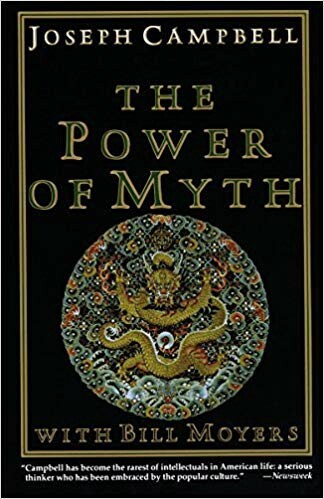 Pulling from stories of the gods and goddesses of ancient Greece and Rome to traditions of Buddhism, Hinduism and Christianity, Campbell shows the universality of human experience across time and culture, an ongoing process of metaphorical death and rebirth. (I think this might be a rare case where the video is better than the book, Campbell has a wonderful personality and it really comes through. The documentary is on Netflix under the same name). 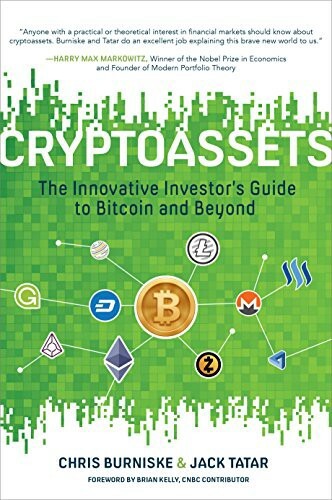 A great introductory text on cryptoassets for anyone coming from a traditional finance background. 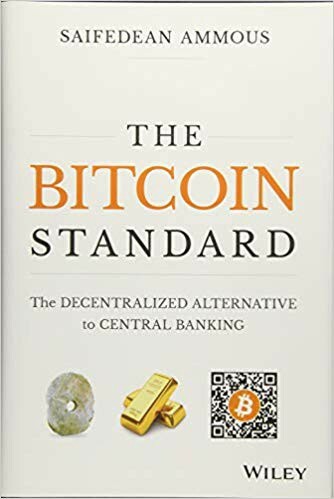 Burniske and Tartar cast this book as The Intelligent Investor for crypto and I think it lives up to that as well as any book can, given the early stage of crypto markets. 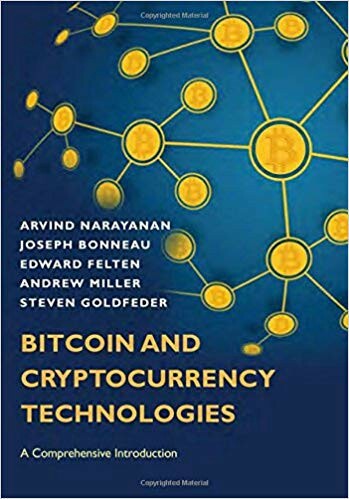 Unlike many other crypto books, the authors were involved in the industry from the early days and I think that gives them a better intuition for the space than accounts from journalists who were only observing. In particular, I thought chapters 4 and 5 gave as good a taxonomy and overview of the crypto ecosystem as I’ve seen. James Clear writes a popular blog on how to build good habits and break ones. Atomic Habits, his just-released book, distills five years of research into habits down into a clear framework with lots of actionable takeaways. The most important insight is that starting small and letting habits compound produces far superior results to the more common binging behavior most of us fall into. 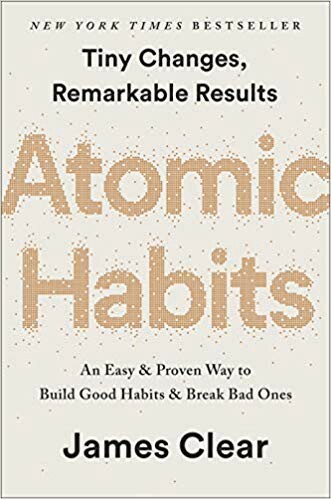 I’d read a handful of books on habits previously but found Atomic Habits the most practical and actionable habits book to date. One of the most interesting investment opportunities I’ve seen in the last few years is acquiring and growing a small business. There are two macro trends driving this opportunity. One is a huge wave of baby boomers that are retiring and looking to sell their small businesses. The other is the proliferation of niche businesses on the internet which expands the number of small businesses that can operate profitably. As Deibel points out in Buy then Build, these opportunities are largely overlooked because of the widespread belief that “real entrepreneurs” must start their own business. 20 years from now, I think “acquisition entrepreneurship” will be as common as going to a MBA program is today. 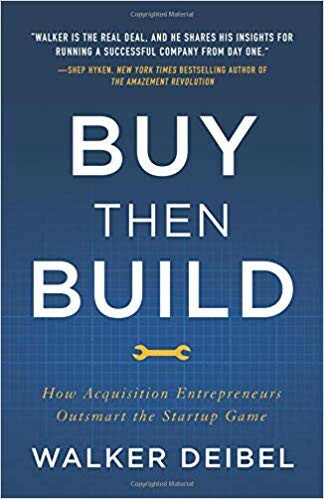 In the meantime, it’s a huge opportunity to hop on the train early and Buy Then Build lays out who is a good fit for acquisition entrepreneurship and how the process works, from finding to evaluating to buying a company. 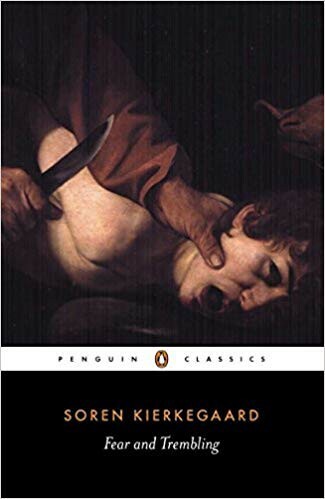 I read Kierkegaard as something like the OG of postmodernism. Writing in the mid-1800s, he was reacting primarily against the work of Hegel, a German philosopher active earlier in the century. Hegel’s shtick was that he thought it was possible to come up with something like a “grand unified theory of everything.” My impression is that this was physics-envy where he wanted to do for philosophy what Newton did for physics. Fear and Trembling was a response to this thinking that looked at the Biblical story of Abraham and Isaac as the ultimate example of faith, something which transcends Hegel’s grand unified theory. If that whole modernism vs. postmodernism thing sounded vaguely interesting but didn’t make sense because I didn’t explain it well, I recommend James C. Scotts’ Seeing Like a State as starting point. Exactly what it says it is: a selection including most of Satoshi Nakamoto’s emails on the cypherpunk mailing list and Bitcoin forums. Though it is flawed in some ways, I quite like the analogizing of Bitcoin to the founding of America. If the white paper is the Constitution then the he/she/they that is Satoshi is the founding father/mother(s). That makes The Book of Satoshi, something like the Federalist Papers which argued in favor of the Constitution. 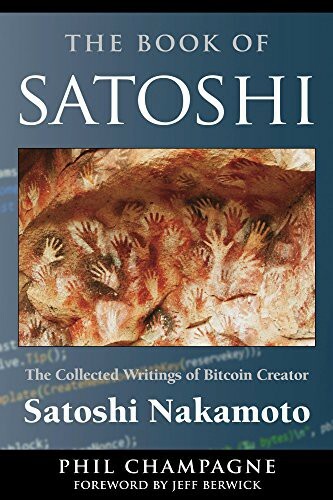 Just as we debate today what the founding fathers intent was in the Constitution, there is lots of debate over Satoshi’s original intent and no better way to know than to read his words yourself. (There is also the debate around to what extent, if any, we should care about what Satoshi/the founding fathers wanted, but there’s no doubt that appealing to Satoshi/the founding fathers’ vision is a powerful rhetorical device). I thought Champagne did a great job both selecting the most important and relevant postings from Satoshi and adding enough context to make them readable to someone without a deep knowledge of Bitcoin’s history without inserting much of his own bias. In many ways, money to modern day humans is like water to fish. It is so normal and everywhere that we don’t stop to think about exactly what it is and how it affects you. Of course, it does affect us, and rather a lot. The Ascent of Money is a (relatively) brief history of money and finance. I love the brief-history-of-big-topic genre and thought Ferguson did an excellent job with this one. 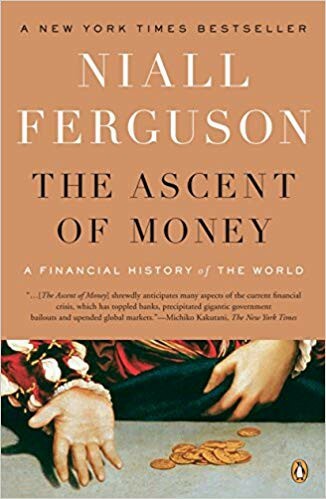 Beginning with money, then moving on to equity, debt, derivatives, and real estate, Ferguson shows how the biggest components of the modern financial system evolved and what impact they have on our lives. 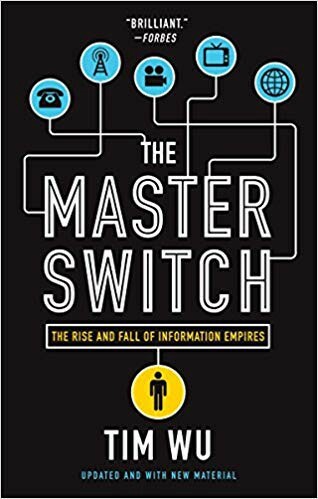 The Subtitle of this book, The Rise and Fall of Information Empires, captures the gist. This book starts with the founding of AT&T/Bell, the first information empire, and traces the history of radio, television and the movie industry, culminating in an analysis of today’s information empires: Google, Facebook and, perhaps again, AT&T. The main thrust of Wu’s argument is that information monopolies are fundamentally different than other types of monopoly because they have what economists call externalities, effects not captured in the economic data. Monopolies in the TV and radio industries didn’t cause problems through increases in consumer prices like industrial monopolies (I’m thinking of Rockefeller’s Standard Oil and Carnegie’s steel empire), but through the chokehold, they put on culture. For decades of the 20th century, the movie, radio and television industries were run by a cartel of monopolists who used government regulatory agencies to stop any competitors, arguably creating a monoculture of conformity and reducing creativity and innovation. Wu carries this logic forward to the internet giants which started as open networks (like radio and movies) but fairly quickly consolidated their power into walled gardens. Wu, who coined the term “net neutrality,” argues that we must, as a society, refuse to tolerate information monopolies. 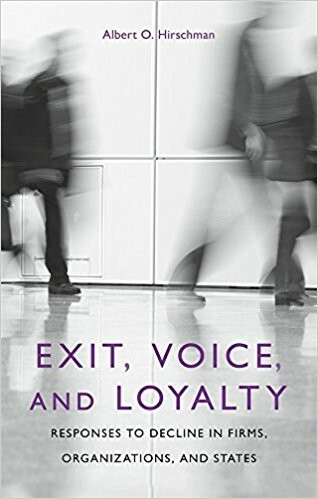 In Exit, Voice, and Loyalty, economist Albert Hirschman attempts to better understand the dynamics that govern dissatisfied group members and how they seek to better their situation. The two fundamental choices Hirschman presents are voice, try to use influence to change the system, and exit, to leave the system. Dissatisfied shoppers can ask to speak to management or choose to take their business elsewhere. Dissatisfied citizens can choose to lobby, protest, and vote or emigrate. I first heard about Hirshman’s work in a 2013 talk from a16z partner Balaji Srinivasan where he argued that perhaps the best way to innovate on governance was to leave (“exit”) the US and try to start a new city. The notion of exit vs. voice has been increasingly popular in the crypto community as Bitcoin itself could be viewed as a form of exit from the current monetary system as opposed to the more traditional voice, in the form of protesting, lobbying and voting. Hirschman observed that generally economists and business people overvalue exit and assumed the invisible hand of the market will solve all the problems while political scientists and policy wonks tend to overvalue voice and not accept how intransigent leaders can be. Originally published in the 70’s, I’ve found Hirshman’s framework a very powerful way to think about how groups get things done. The ideas conveyed here are useful not only for economists and political scientists but for product managers, human resource managers and business leaders in general. The one question I ask myself about Hirschman is whether software (and potentially blockchains) don’t shift the balance of power towards exit over voice because it is a non-rival good. If there is one railroad, then a competitor can’t make a copy of it (at least not without spending a lot of money), but with software, you can. The ability to fork software, make a copy at one point and time and work on two different versions is a new dynamic that seems to fundamentally favor exit over voice (though perhaps that’s the economist/business person in me which is overvaluing exit). Origin was probably the last cutting edge science book written that was still accessible to the lay reader. 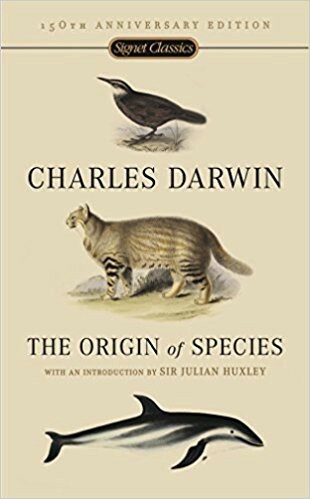 It covers foundations of Darwin’s theory as well as lengthy and detailed rebuttals of the biggest criticisms against it. I think it’s worth reading in part because of it’s historical significance, but it is still valuable as a lucid and well-articulated explanation of evolution. There is so much about evolution that seems deeply counterintuitive and understanding the “intuition of evolution” is broadly applicable to understanding any complex system from politics to financial markets. Nearly two hundred years after it was initially published, I still found myself saying “wow” at some of Darwin’s explanations. Like everyone else I know that has read this book, I read it because venture capitalist Peter Thiel said it was his favorite book ever and he seems pretty smart so I figured there was something there. 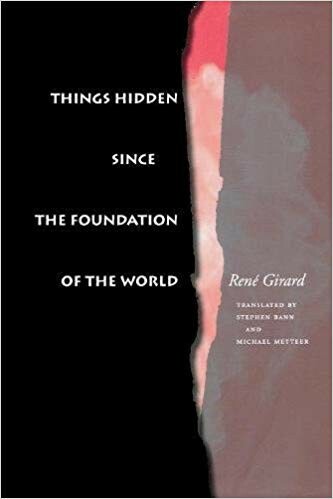 Things Hidden is Girard’s most famous work on Mimetic Theory. Mimetic Theory’s key insight is that human desire is not an autonomous process, but a collective one. We want things because other people want them. As more and more people want something and that “thing” remains scarce, there is conflict. Most conflict then is not because humans want different things, but because they want the same thing. Girard believed that human societies managed mimetic conflict through the scapegoat mechanism. If the conflict over a scarce object became too intense, the community subconsciously choose a scapegoat which was sacrificed (literally or metaphorically). The obvious example might be a literal sacrifice in pre-modern societies, but Girard extended it to present day. CEOs are sacrificed after too many bad quarters in a row, coaches after bad seasons and presidents after stock market collapses. The purpose of the scapegoat mechanism is not that it is correct, but that everyone believes it is correct. The data is very clear that presidents have very limited impact on the stock market but the voting public broadly believes that they do and so voting out a president after a market downturn produces the needed catharsis and belief that things will turn around. Things Hidden is dense and long-winded and a couple blog post summaries get the main points (which are definitely compelling) across. I did a tweetstorm summary (which a couple of Girard scholars responded too — yet another example of Twitter being awesome) and a longer form blog summary. If you like the summaries, but want to go deeper, the book may be worth it. I’d never heard of Neal Stephenson until a couple of years ago and have read three of his books now and plan to work my way through his whole back catalog at this point. Stephenson is a brilliant sci-fi writer and I find him hilarious. 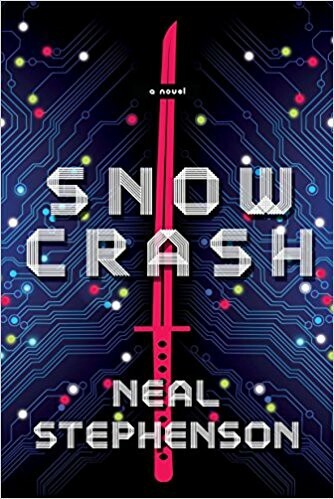 Snowcrash came out in the early 90’s when the consumer internet was still in it’s fledgling stages and images a world where people spend most of their time in virtual reality following the collapse of the nation-state and hyperinflation of the US dollar. Stephenson weaves Sumerian mythology throughout the book and cracks some pretty witty jokes. If you enjoyed this post, I send out a monthly reading newsletter. Subscribe to get reading recommendations, free articles (about twice a month) and a list of my favorite tools for entrepreneurs and creatives, free. P.S. I’m always looking for book recommendations. If there’s something you think I should read, let me know! The Best Books I Read in 2018 was originally published in The Mission on Medium, where people are continuing the conversation by highlighting and responding to this story.